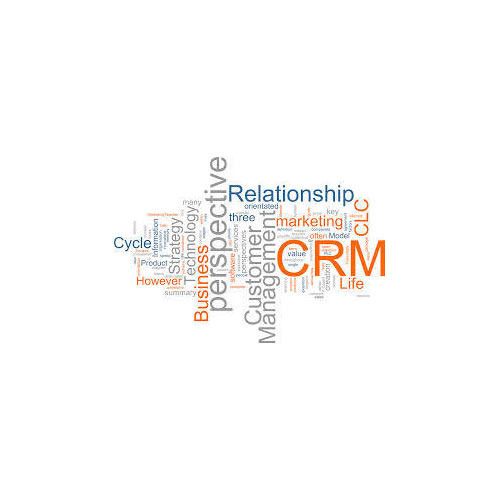 We are the leading organization to offer our esteemed clients an optimum quality CRM Software Service. This service is carried out under the adept supervision of our expert software professionals using the qualitative software and advanced techniques. To ensure high accuracy and reliability, our skilled professionals render this service with utmost precision. The offered service is performed within the stipulated time. Established in the year 2013, at Vadodara (Gujarat, India), we “JP Infoweb Solutions Pvt. Ltd.”, are reliable service provider, highly engaged in offering the best Customised CRM Service, Customised ERP Service, Website Development Service, Inventory Management Service, Interactive Voice Response Service, Customised Software Development Service, etc. We are backed by highly skilled team of professionals, who possess years of experience in this field. Our professionals provide an efficient customer relationship management (CRM) solution to our clients that boost productivity of sales team and customer support team significantly and give an insight into the customer care and sales process. The provided service is performed by our adept team of IT professionals in an excellent manner. While executing this service, our experts ensure that the offered service is highly reliable and is within the budget to attain maximum clients’ satisfaction. Under the leadership of our Director “Mr. Kalpesh Anjariya”, we have been able to gain the maximum satisfaction of our esteemed clients. Our offered services are highly demanded by clients owing to their flexibility, timely execution, reliability and client centric approach.